Part of the beauty of Europe is its peoplea��s ability to embrace, celebrate and respect other cultures, ideas and languages. This is at the foundation of being a part of Europe and being European. Not being a part of the EU does not make the people who live in the UK any less European. 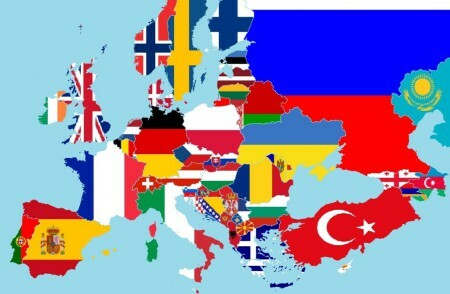 Now is a great time to show that you are a proud European by learning another language. Cactus offers evening language courses for more than 20 languages in 14 locations across the UK, starting July 2016. If you live in London, Brighton, Bristol, Leeds, Liverpool, Manchester, Oxford or Sheffield then Cactus, as the UK’s leading language provider, has an evening language course for you. Receive 10% off our 10 week courses in all 14 locations and 10% off our 5 week courses in London, Brighton and Liverpool with the discount code JCD10. This offer ends on 1st July 2016. Why not take a language holiday and improve your language skills at the same time as having some fun in the sun. Cactus offers language holidays for French, Spanish, German, Italian, Portuguese, Japanese, Arabic, Russian, Polish, Turkish, Mandarin and English in more than 200 locations. Contact us for your 5% discount on your Cactus language holiday. Previous Previous post: Thinking of Leaving the UK?